I would have to honestly say that FyrFlyz are one of my favorite new toys. Yes I am 28 and I am addicted to the new kid craze. I find myself playing with them every chance I get! If I see one just laying on our table or walk past one I pick it up turn the lights off and start playing. Even my husband carries FyrFlyz with him everywhere. It so exciting when he plays with FyrFlyz in public and kids make comments like, “That’s so cool!” “Look, he has FyrFlyz!” Our kids, Alexandria and Kevin LOVE FyrFlyz and are constantly showing their friends new tricks they learn. Even the younger kids get a kick out of watching. So what exactly are FyrFlyz. 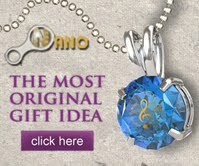 It is the YoYo reinvented 1,000 times better. FyrFlyz look basic and simple. They are only made up of 5 parts. Two pieces of string two handles and the part that creates all the magic. FyrFlyz create amazing light shows with just 3 simple steps! Step 1: Turn on your FyrFlyz. Grab one handle in each hand and start spinning the FyrFlyz in large loops so that the strings get twisted. Step 2: Using the handles, pull the strings apart to spin the FyrFlyz in the opposite direction. 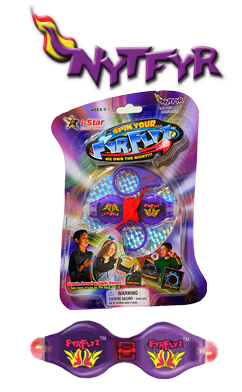 Step 3: As the FyrFlyz spin in the opposite direction, bring the handles closer together and continue to spin large loops to create different tricks and shapes. NYTFYR is purple and has red and white lights and creates a red and white streak light show. Cyclone is green and has green and white lights and creates green and white rays of streaming light. 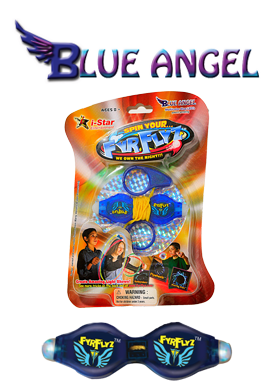 Blue Angel is blue and has blue and a multicolor light and creates a multicolor light show. 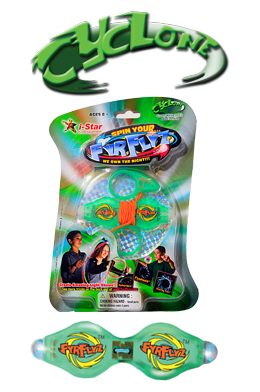 FyrFlyz are normally found near the Nerf items in the stores. You can visit YouTube and find 1oo’s of videos teaching you and/or your child different tricks and designs.